Dr. Mary Ann Osborne, FNP, DNP has been a Nurse Practitioner since 1986. In 2001, she became the first Nurse Practitioner to graduate from the Fellowship in Integrative Medicine at the University of Arizona, Tucson. This fellowship is directed by Andrew Weil, MD and is nationally recognized for incorporating the philosophy, techniques and practical applications of integrative medicine (IM) with the personal values and beliefs of the health care provider. She also applies the principles of Integrative Health to her clinical practice which includes consultations on issues ranging from cardiovascular disease, women’s health and cancer to providing health promotion and wellness advice. Mary Ann’s philosophy has broadened to include the principles of integral and holistic nursing. She incorporates this into her professional and academic lectures while teaching at the University of Washington, Seattle and University of Portland, Oregon. Mary Ann often lectures to professional and public groups. Mary Ann was born in North Carolina and later joined the Army Nurse Corps where she served across the nation and overseas for 21 years. She obtained a Master’s in Science at the University of South Carolina with a focus as a Family Nurse Practitioner. 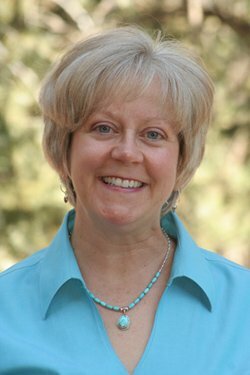 Mary Ann continues to expand her knowledge and recently graduated from the Doctor of Nursing Practice program at the University of Colorado Denver. Consultant, Integrative Healthcare and the DNP, College of Nursing, University of Portland, June 2006, Portland Oregon. Consultant, Integrative Healthcare and Faculty Immersion, College of Nursing, University of Portland, October 2006, Portland Oregon. Presentation, Memorial Hospital, March, 2008, Colorado Springs, Colorado; Topic: Botanicals in Healthcare and Nursing. Presentation, University of Colorado, Denver, 2015; Topic: Integrative Health Nursing. Presentation, Havana, Cuba, February 2017: Topic: APO E gene and an Integrative Approach to Heart and Brain Health.